Nathan Kaplan joined Moore Ingram Johnson and Steele, LLP in 2017 and is currently a member of the firm’s Litigation Department. He is currently practicing primarily in the area of Workers’ Compensation Defense, out of the firm’s office in Jacksonville, Florida. Nathan has represented employers and insurance carriers in the area of Workers’ Compensation defense since becoming a member of the Florida Bar in 2013. Nathan received his B.A. degree in history from Vanderbilt University. He then obtained his J.D. degree from the Florida State University College of Law. 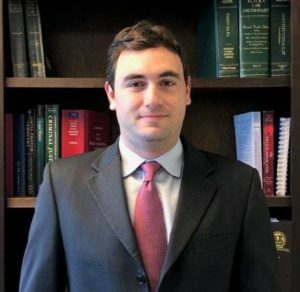 During law school, Nathan completed a federal judicial internship for the Honorable Anthony Porcelli of the United States District Court for the Middle District of Florida. He served as an Article and Notes Editor for the Journal of Transnational Law and Policy. He also received book awards for attaining the highest grade in Legal Writing Research I and Education Law. Nathan enjoys spending his free time with his friends and family, watching football, and traveling.